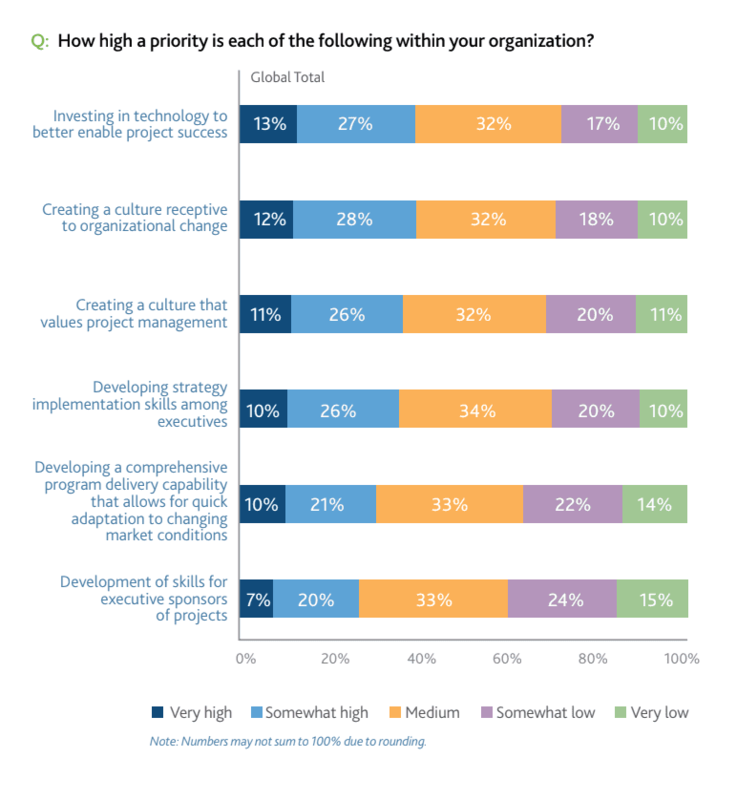 Do people believe their organization fully understands the value of project management? A substantial 42% said “no” in a recent report by Project Management Institute. A big reason why companies spend more time than they should on RFP responses often comes down to not valuing project management enough. An inefficient RFP response process is a common link between modern organizations across a range of industries. But, for financial services, there are unique obstacles that keep teams from reaching their growth objectives. And since competition in the financial world is always intense, winning RFPs is a pretty important step in the sales cycle. Better RFP response management for financial services organizations is possible. First you need to recognize your process roadblocks to find the best solution for your team. This is how you get started, so you can position your RFP projects for success. Financial services companies usually have a different setup internally. Often there is no gigantic sales team or proposal management team handling RFPs. So, the main roadblock you will run into with your RFP response process is the workflow. Typically someone who is working with a potential client is the one who receives the RFP and starts working on it. Then, they pull in other subject matter experts when necessary. Although this person has other primary responsibilities, they have to throw on their proposal manager hat to see the project through to completion. Sound familiar? Though responding to RFPs isn’t your job, bringing in new business is. It is for everyone at an organization. We get it. You feel your time is better served in front of clients. This is obviously important for the business as well. If you’re not doing so already, prioritizing technology will help you save time with your RFP response process. That way you can get back to focusing on your clients. 40% revealed that investing in technology is a high priority for enabling project success. That leaves many others who don’t see the value in technology they are currently using or considering. Since it’s more “all hands on deck” with RFPs at a financial services company, everyone has to contribute in some way. You don’t have a dedicated proposal management team to steer the ship. And, your sales team is spread thin. Might technology be the answer? RFP software can help you manage all of this, whether you are a team of few or many. Compared to a manual RFP response process, technology allows you to do more with less while organizing the everyday complexities of your unique workflow. 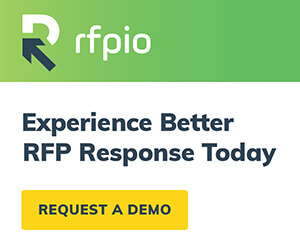 Whether you’re repurposing content from past responses or collaborating with SMEs on current projects, you can get more done with RFP software. Look, we understand that you probably like spreadsheets more than the average professional. But, managing your RFP responses that way is far from efficient. Working after hours using Control+F to hunt down a past RFP response? We know you’ve done that right before a deadline. Dashboards allow you to track and manage your RFP projects, so you always know what’s going on. You can see who has been assigned to specific sections of an RFP or security questionnaire and track completion progress. It’s a lot easier to handle an RFP when you have this level of visibility and know where the entire project stands. 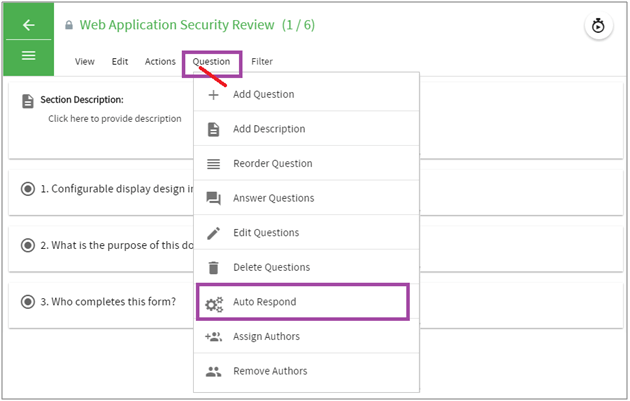 Auto-response fills in the majority of questions from the beginning of each RFP project, defeating even the most massive security questionnaire. You can auto-respond to everything, review, then fill in the gaps by engaging the necessary SMEs. If you’re taking the lead, this does a lot of the work for you. Manually copying and pasting from past responses might be the death of your RFP. Reusing content is fine until you call a client by the wrong name. Merge tag functionality saves you from a lot of anxiety, since the system replaces those fields automatically. A content library allows you to keep RFP responses organized in one easily searchable place. You don’t have to sift through past RFPs, use CTL-F to find the response, then copy and paste into your document. 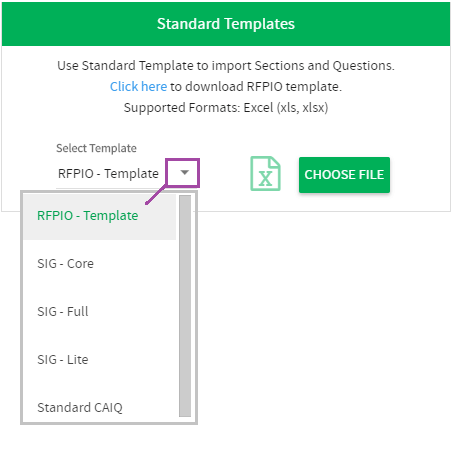 RFP software does the heavy lifting for you—all you have to do is click a button. A major timesaver happens during the export process. You have the ability to export into either the source document or a corporate template, so you have a uniform RFP deliverable. When 15 people contribute to an RFP, 15 different sized fonts usually happen along the way. What used to take a couple of hours can be done in a couple of seconds. Investing in technology like RFP software will only help you do your job better. By spending less time responding to RFPs with a more efficient process, you’ll be able to turn more attention to your clients and priorities. You’re doing the right thing by taking the lead with your company’s RFPs. Now you just need the technology to support your mission.